Only one passenger per cabin will need to be added to the waitlist. There is no need to contact us if you have two passengers as each cabin is double capable. 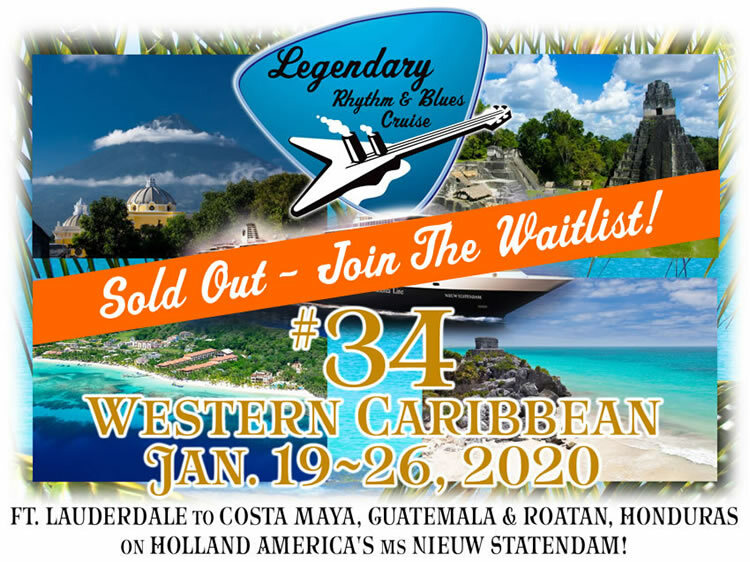 If you are requesting triple or quad occupancy, please notify us after submitting your waitlist request at Bluesin@BluesCruise.com. We will be sailing January 19-26, 2020 on Holland America’s newest Pinnacle Class ship - the ms. Nieuw Statendam, roundtrip from Ft. Lauderdale, FL to Costa Maya, Mexico, Guatemala and Roatan, Honduras. You will be placed on the waitlist according to the date and time of your request. Previous passengers do not receive priority. Cabins are first come, first serve and joining the waitlist offers no guarantee of cabin placement. If a cabin does become available, the price will likely be approximately $2200 to $2600 per person based on double occupancy plus applicable fees associated with cruising. Thank you for your interest and we hope to see you on-board! Only one passenger per cabin will need to on the waitlist. There is no need to contact us if you have two passengers as each cabin is double capable. If you have already created an account and are returning to make a payment or to review your reservation information, please enter your user name and password to logon. If you made your reservation over the phone or have forgotten your user name or password, please click "View Your Account" below, then "Forgot your User Name or Password?" and temporary login info will be emailed to you.